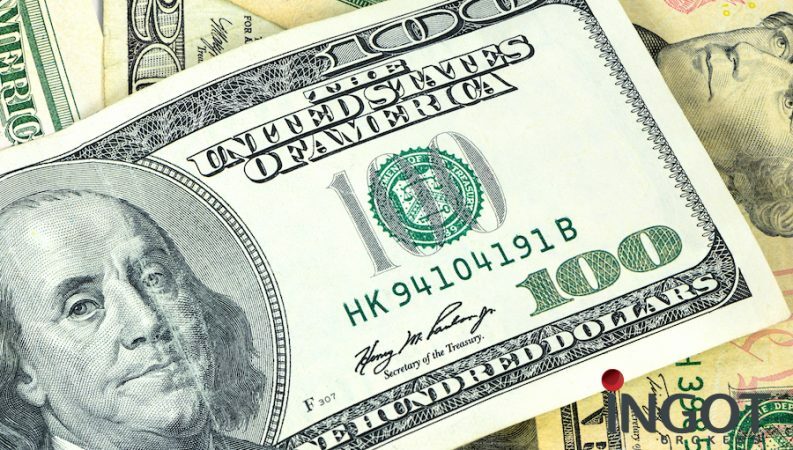 The US Dollar traded slightly lower versus a basket of major currencies on Thursday’s session most of the downward presser came from the strengthening of the Euro and the British pound as both represent 70 percent of the dollar. The U.S Dollar index fell versus a basket of six major currencies on Thursday to end the session at 96.49. The Fed is expected to raise rates for the fourth time in December 2018, but the question remains of how many rate hikes the Fed can implement next year without slowing down the economy. In economic news, the U.S. Core Durable Goods Orders for October which measures the change in the total value of new orders for long-lasting manufactured goods came at 0.1 percent lower than expectations of 0.4 percent. Over in Europe, the Euro rose versus the greenback to close the session at 1.1400, the single currency found support after The European Union and Britain agreed to a text setting out their future relationship before a summit on Sunday. in economic news, eyes will be focused on key economic data later on today’s session as Germany’s Gross Domestic Product for the third quarter is expected to show a 0.2 percent decrees similar to the previous reading, moreover Germany is also going to release its preliminary Manufacturing Purchasing Managers Index for November and it’s expected to come at 52.3. Over in the United Kingdom, the Sterling regained all of its last two session losses against its dollar counterpart supported by The European Union and Britain agreeing to a text setting out their future relationship before a summit on Sunday. to trade at 1.2875 at the close. In terms of Safe-havens, the Japanese Yen rose against the U.S. Dollar. to trade at 112.92c. on the other hand, the Swiss franc fell slightly against the dollar to trade at 0.9948. Precious metal Gold rose against Greenback settle at 1227.43 on the close hitting its two weeks high supported by a weaker dollar. In terms of commodity-currencies, the Canadian Dollar rose against its U.S. counterpart, to end the session at 1.3385 USDCAD. In the economic space, investors will focus key economic data later today such as the Core Consumer Price Index and Core Retail Sales. Meanwhile, in Asia, the AUDUSD fell to trade at 0.7251, while the NZDUSD advanced to trade at 0.6811 at the close. In Cryptocurrencies, Bitcoin, Lite Coin and Ethereum fell against the Greenback on yesterday’s trading session as all three rose to 4402 BTCUSD, 126.25 ETHUSD, and 31.37 LTCUSD. Asian markets ended lower on Friday’s trading session, as investors remained cautious regarding the tensions between the United States and China.